Buyers of medium size motors never had it better. 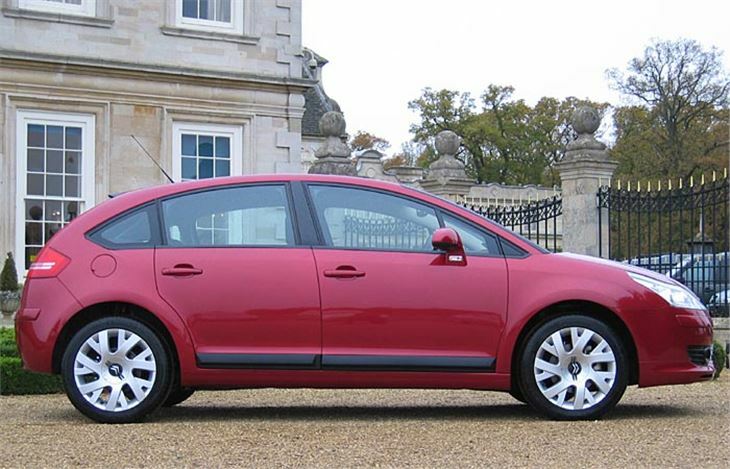 A much more solid new Golf; a dramatic new Astra; a better built, more refined new Focus. 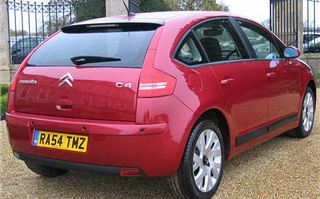 And now, stepping smartly from the bottom of the class to the top, the stunning 2005 Citroen C4. The two bodies are completely different, yet the space inside them is virtually identical. 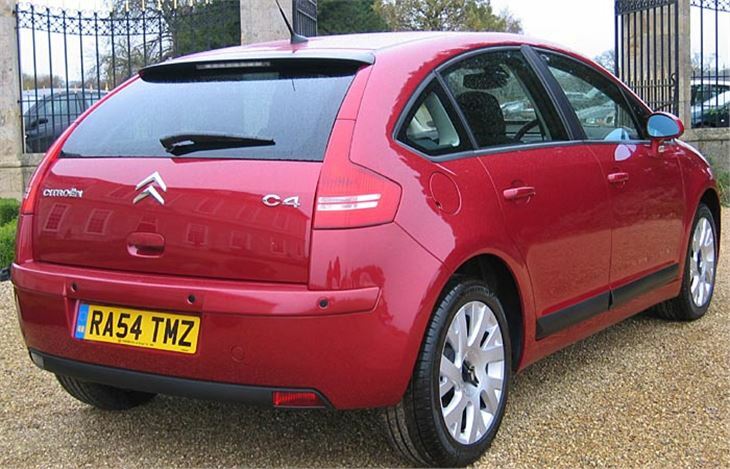 The cracking 3-door coupe is £400 less, and a benefit of its low rearward sloping rear window is excellent vision for reverse-parking. They are five seaters with five proper belts, but there’s less headroom and comfort for back seat piggy-in-the-middle than there is in the new Focus. 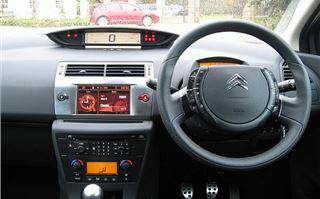 As befits a Citroen, the dashboard is radical. The centre digital speedo is translucent so you can easily check your speed in all lighting conditions. The rev counter sits just above the fixed steering wheel hub and glows completely red when you red-line. Audio controls, cruise control and speed limiter, phone controls and multi-function display controls are grouped around the fixed hub, with the horn at the bottom. It all works wonderfully well. And the equipment lists just go on and on: cruise control with speed limiter in all models; lane departure warning system optional in top models, which vibrates the seat if you cross a white line without signalling; directional Xenon headlights; NaviDrive or Bluetooth pre-prep for hands-free use of mobile phones; front and rear parking sensors; tyre pressure sensors; laminated side glass; a partitionable boot to stop things rolling around; Thatcham 5-star anti-theft system (emergency wheel now stowed inside the boot); 5CD autochanger in the armrest; even a built-in air freshener that adds a choice of fragrances to air entering the car; an expected 5 star NCAP rating for crash safety and 3 stars for pedestrian safety. In Citroen’s words, it’s “alive with technology”. But what’s nice is that none of it is gimmicky. It all makes sense. I got to drive four variations, in completely the wrong order, starting with the range-topping 180PS VTS coupe, externally distinguished by a hoop spoiler over the back window and internally by a really nice brushed aluminium dash panel. The roads were a very good test, ranging from bumpy narrow single tracks to fast, smooth, undulating ‘A’ and ‘B’ roads, with good sight lines and hardly any traffic. And it was raining most of the time so there were patches of standing water to contend with. In those conditions, some cars fall to pieces, especially if their tyres are too wide and their suspension too stiff. Not this one. The VTS simply romped it. 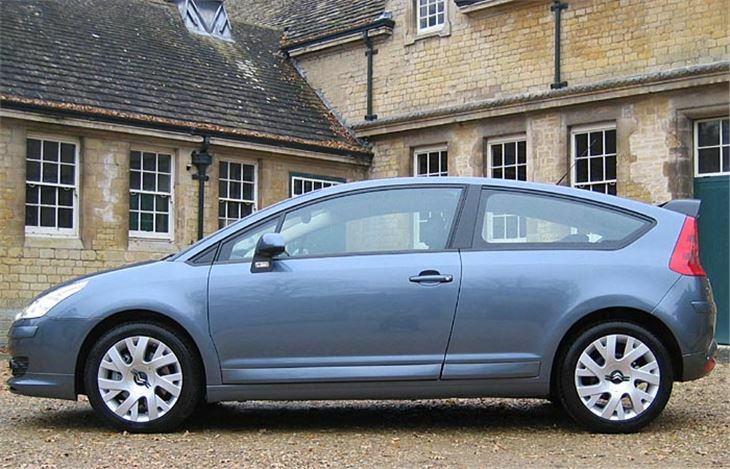 Fast, safe, with minimum understeer and none of the ‘rear steer’ Citroen featured on the ZX and Xsara. Next, the most important model: the 1.6HDI 110, which it should be noted isn’t cheap. 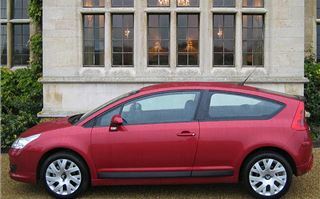 At £14,895 for the 5-door SX and £15,495 for the 3-door VTR Plus, the 110PS diesel is a whacking £1,700 more than the equivalent 110PS petrol versions. For that you also get ESP, and you could save a whole £1,000 by plumping for the 92PS 1.6HDI. 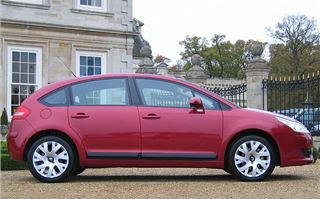 That said, Focus 1.6 TDCI 110 Eu IV LX 5-doors start at £14,690, so it’s HDI 110 prices rather than Citroen prices that are out of line. I like PSA’s 1.6 110PS 16v diesel so much I expected a great drive, and I got it. Not quite as much ultimate grip as the VTS 180, but a bit more compliant Plenty of power and torque, and not too much as can be the case from PSA and VAG 2.0 litre 16v diesels. And a red-line of 5,000rpm, which makes it more petrol-like to drive. The right engine in the right car for today. 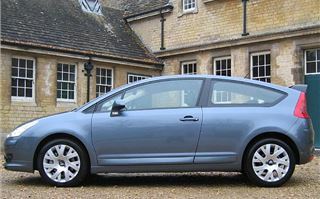 The 138PS 2.0 petrol VTS is pretty good too. Quick, smooth. Handles nicely. And at £14,895 (£600 less) it’s a sportier though juicier alternative to the dearer 110PS HDI VTR Plus. Lastly, but not leastly, the £13,195 110PS 1.6 petrol SX, closest in spec to the 115PS Focus Ti-VCT driven last week. And the crucial question: which is best? These two cars really are neck and neck. They both ride and handle better than the equivalent Golf (I haven’t driven a 1.6 Astra). But the roads I drove them on were very different. Nothing much in it on performance. The C4 SX has a horrible plastic steering wheel rim, but you can soon ignore that. The ride is compliant. Handling both tidy and fun. Yet the Focus ride and handling combination is more completely developed, just that tiny bit closer to perfection and more satisfying as a result. But there really isn’t much in it. The Focus is slightly more solid. It feels better put together. 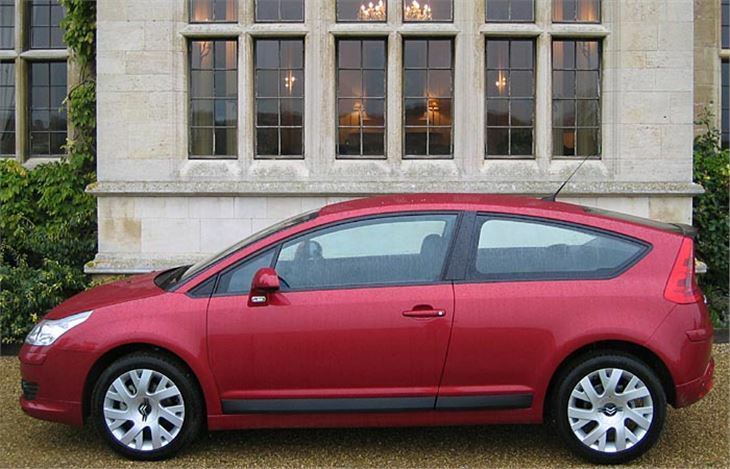 On the other hand, the C4 looks fresh and stylish where the Focus looks conservative and dull. You could argue one against the other endlessly. And at the end of the day plump for your choice while still respecting your best mate’s reasons for buying the other. Footnote: A week with a C4 1.6 HDI proved a bit more illuminating than the one day test-drive of various different models in the range. The 1.6 16v diesel remains a stunning combination of petrol smoothness with diesel ooph. I took a Porsche Cayenne and BMW 318C1 2.0 owner for a short ride and neither of them realised it was a diesel. The handling and grip are definitely first class. The ride suffers slightly on 205/50 ZR 17 tyres but not the car’s ability to surmount speedhumps, which it dismisses with contemptuous ease. Gearing is exactly right at 30mph per 1,000rpm in 5th. Biggest problem is that, even for me, the narrow footwell simply isn’t deep enough. I’m just 5’ 9” and driving close-up I couldn’t get my left foot off the clutch. So I had to drive long-legged and that didn’t leave enough room for me to comfortably sit behind myself. I think the C4 is definitely going to present problems for taller drivers. Another criticism is the lack of anywhere to lay down a ‘Bluetooth’ phone. For most of us, a mobile and linked earphone make more sense than a car manufacturer’s integrated system that might not be compatible with our phones. But I wound up having to stick my phone in the ashtray. Another questionmark is, though the 92PS 1.6HDI and the 136PS 2.0HDI are EU4, the 110PS 1.6HDI isn’t. If it was, the BIK base would be 15%. As it is, the BIK base is 18%. So company drivers pay on the basis of their car costing 20% more. 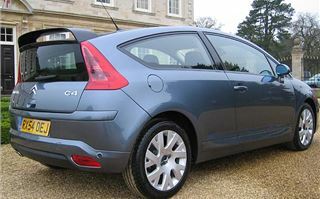 At £2,564,the BIK base of the same VTR-Plus 5 door with the 136PS 2.0HDI is less than the £2,861 for the 110PS 1.6HDI. So, minor niggles and a major one for company drivers choosing the 1.6HDI 110 in 2005. It’s still an excellent car. 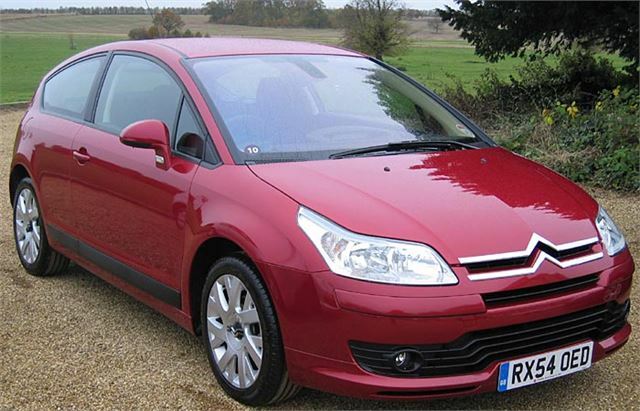 And up there with the Focus at the top of a class containing some other very good cars.